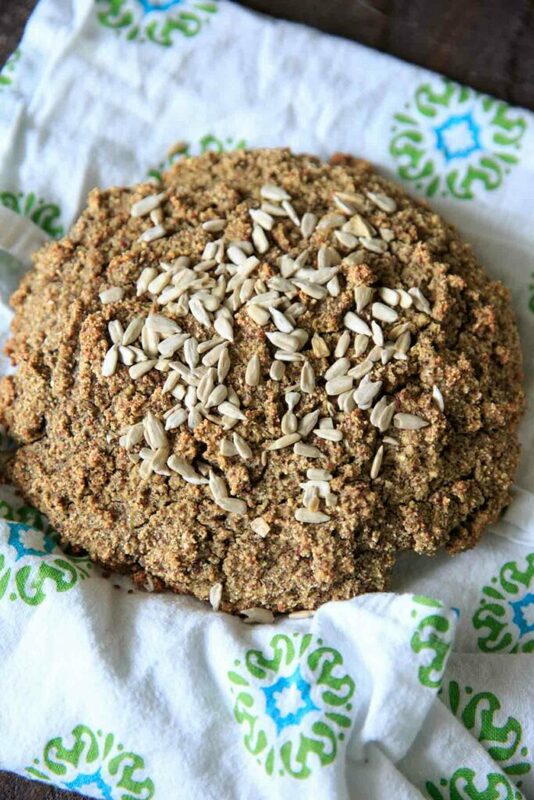 Gluten-free quinoa bread with a touch of honey for sweetness. A good soup and stew bread or hearty quick bread! Thank you to iHerb for sponsoring this post! As always, all opinions are my own. Quinoa bread has been on my kitchen baking list for a while now, ever since I heard it was a thing. What I didn’t realize is how challenging it would be to recreate! I thought maybe I would try millet flour, but the final recipe uses oat flour. Obviously I bought quinoa as well, and while I almost bought the quinoa flour, my initial plan was not to use it as a flour! Unfortunately that first try was an epic fail. There is a method that involves soaking quinoa and chia seeds and then blending them for the batter. I’m pretty sure that’s the only time I’ve ever thrown an entire loaf of bread in the trash. But to live up to my “trial and eater” name, I kept testing! I tried a couple different methods and finally figured out something that works. So there are two methods to this bread. Method 1: Grinding quinoa into an almost flour. I say “almost” because the real method to make quinoa flour is to rinse + toast it (350°F for 15 minutes), grind it, and then put it through a fine-mesh strainer it so it is a very fine flour. Method #2 is making the quinoa flour by following the steps above or purchasing pre-made quinoa flour from iHerb. Method 1 obviously includes the whole quinoa grain (not sifted) so the batter is not as smooth. Think of it like a multigrain bread texture! I also used a tri-color quinoa so that changes the color a bit – if you use white quinoa it will not be as brown. If you make your own quinoa bread from whole grain quinoa, toasting it will make it very fragrant and will add that flavor to your bread! This was my favorite method of all the times I tested it, even though it took the longest. Also: reminder to oil the bottom of the pan and let the bread cool before taking it out! Especially because this is gluten-free, it is more likely to fall apart if you forget these things. I speak from experience. 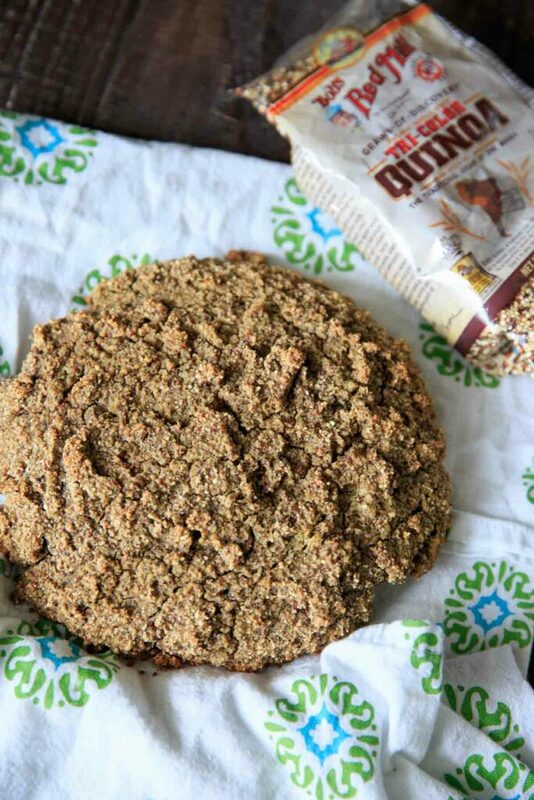 What to expect from this bread: This quinoa bread is not a sandwich bread or anything close to a fluffy yeast bread. It is a quick bread (meaning no yeast) that is hearty and good for soups or something similar. It is gluten-free (using quinoa and oat flour!) so it will have a slightly unique taste from that as well. 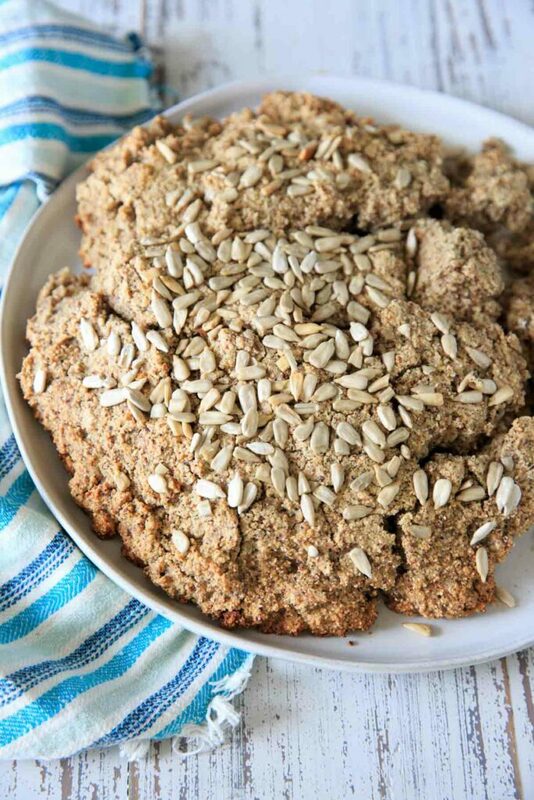 Similar to my Irish soda bread, you can add things to do it to make it more flavorful if you’d like. One thing I find interesting about grinding quinoa is that it actually produces MORE than you start with! I thought it was a typo at first, but 1/4 cup of quinoa turns into 1/3 cup of flour. Meaning 1 cup of quinoa = 1 + 1/3 cup flour! What I love about quinoa flour is that it is a gluten-free alternative that doesn’t require added “gums” like “xanthan gum” in baking. It is high in protein and fiber, and is one of the few plant foods that have all nine essential amino acids (a complete protein!). Bread that is healthy? Sign me up! Also, the batch where I used milk instead of water for the liquid tasted much better in my opinion, and that adds extra nutrition as well. So while it’s not much to look at, it’s actually pretty good for you! I like to add a little sweetness to this with a little honey in the batter AND drizzled on top with some sunflower seeds. I like to use Manuka honey for the added nutrients as well. You can instead make this savory by adding a bit of dried herbs (like dried parsley) on top before baking! 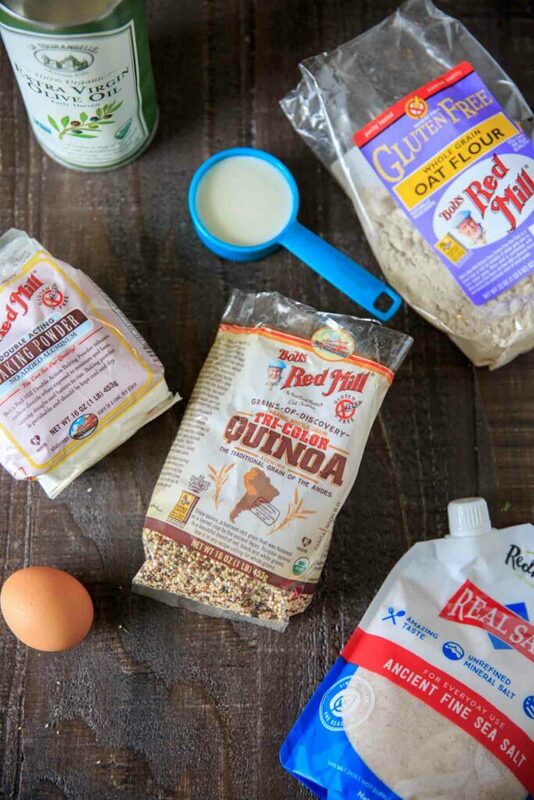 Lucky for you, I have a special iHerb discount offer for you to buy pretty much everything you need for this quinoa bread. Returning Customers can get a discount off their iHerb order, but for a special October offer, *New Customers can get an additional $10 off their minimum $40 order by clicking here! 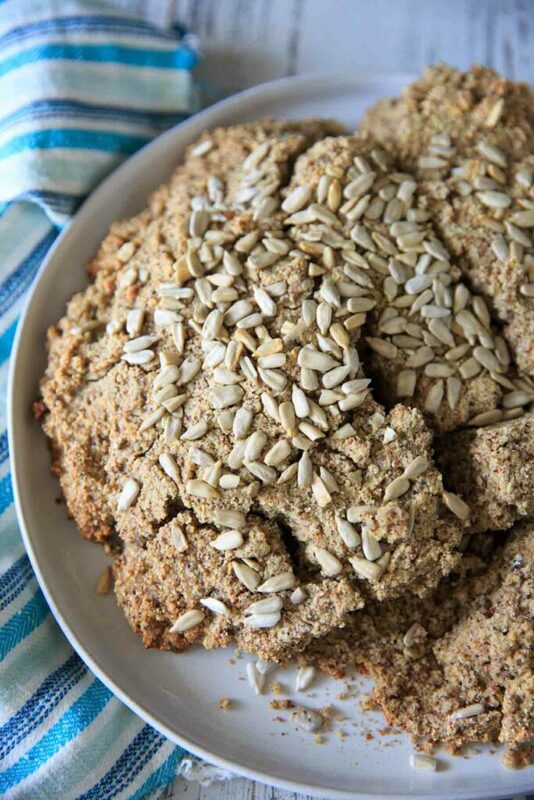 Gluten-free quinoa bread with a touch of honey for sweetness. A good soup and stew bread or hearty quick bread! Add the milk, egg and honey to the flour mixture and combine. Mixture will be sticky. On a baking sheet or dutch oven, form the dough into a round loaf. Brush the top of the loaf with olive oil, drizzle with more honey (if desired) and top with sunflower seeds. Bake at 350°F for 45-55 minutes or until knife comes out clean and bread is lightly browned. Best served fresh, warm and with soup! Instead of baking powder, you can use 1 teaspoon baking soda + 1 tablespoon apple cider vinegar. ﻿2 cups quinoa = 2 1/2 cups quinoa flour . 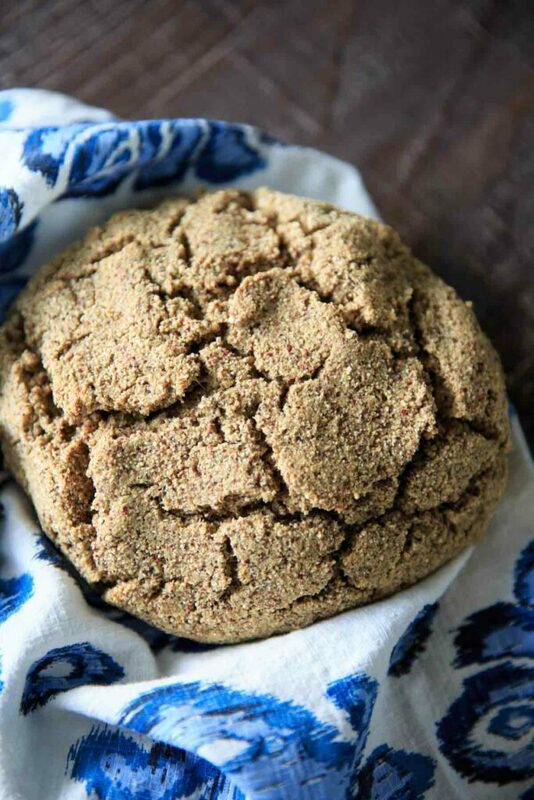 Use quinoa flour instead of straight ground quinoa for a smoother texture.